I have this small mooncake tea party last Friday (24.09.2010) and overall I was happy my friends enjoyed it, even though half of the guests didn't turn up. However, maybe it was meant to be, God's will, that they couldn't make it and it happened to rain as well. Started at 8pm, first I received sms from colleagues that they couldn't make it last minute. Then the rain started to pouring down. I was like, oh my God, why this thing always happen? I said never mind, move back to unit and waited for those who could come. 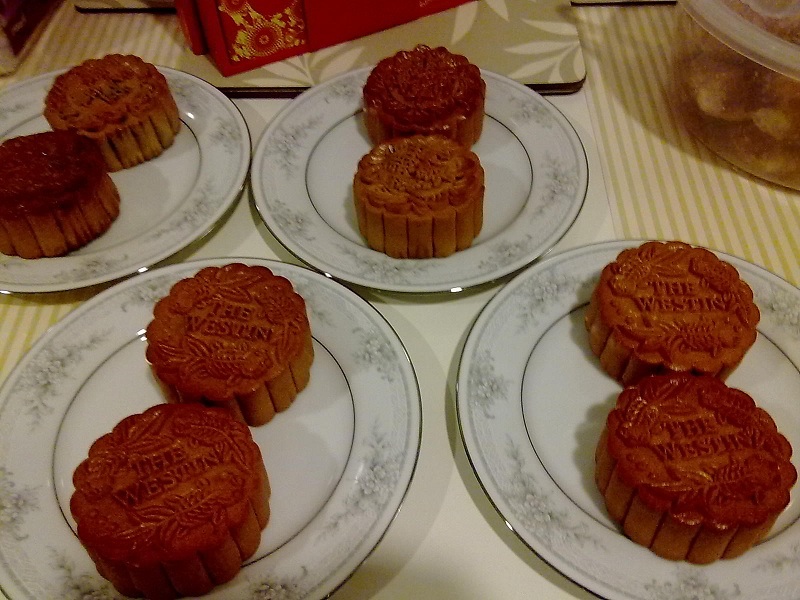 I hope they liked the mooncakes. 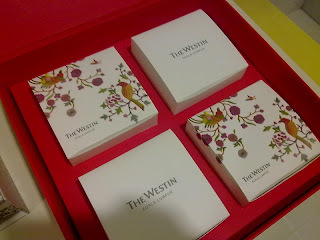 I bought them on Wednesday (Lantern Festival Day) night in Mid Valley. I didn't have much choices because all mooncakes in Jusco were all sold out except last 4 pieces which not comes in variety. However, the guy was so kind and sold it to me at RM 11.70 for 4 pieces which means I got them at one piece's price. 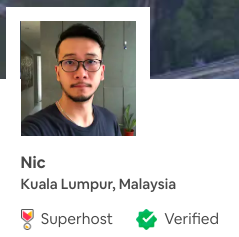 :-) BRAVO! Because of I had about 12-14 guests so 4 pieces of mooncake were definitely not enough. 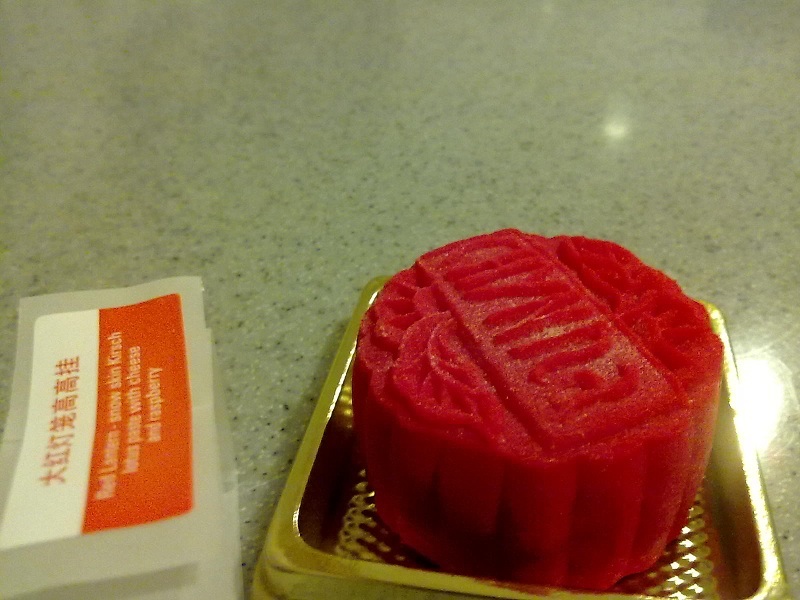 In the basement floor of Mid Valley there were selling mooncake too and were running out of items. Quickly we surveyed the stalls and brought mooncakes from The Westin hotel and Hilton hotel. 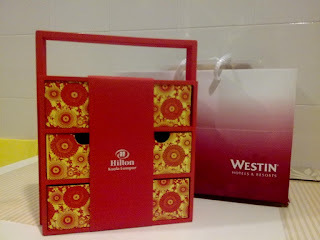 Hilton's was 4 pieces free another 2 pieces and for Westin hotel I got it at discounted price. 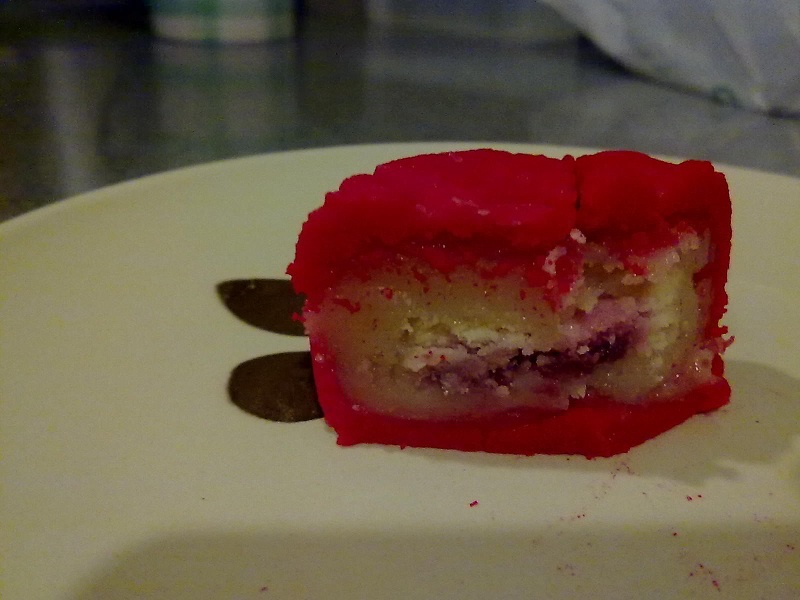 Because we are 1Malaysia, and I don't mind having Halal mooncake and few of my guests are Muslims. It such a shame they didn't come eventually. In the end 8 guests turned up late due to traffic jam after working hours. Man Teng is expecting a child and I guess its a girl. But Thong looks like wanted a boy so badly. Well, doesn't matter boy or girl, the child is still their little baby. Andrew and wife brought their little boy came. Time flies. He can crawls and stands. That is awesome. Very cute boy. Ms.Wong came late because of lost in the city with a GPS. She need to get rid of that GPS since it doesn't help. Haha. Terry and Zhen Yin came the last. All of us had chat and watched TV. We talked about traveling. 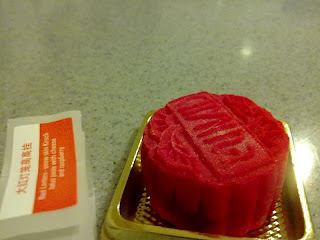 We had mooncake but didn't finish all. The party was over about 11:30pm. I felt great after the party. 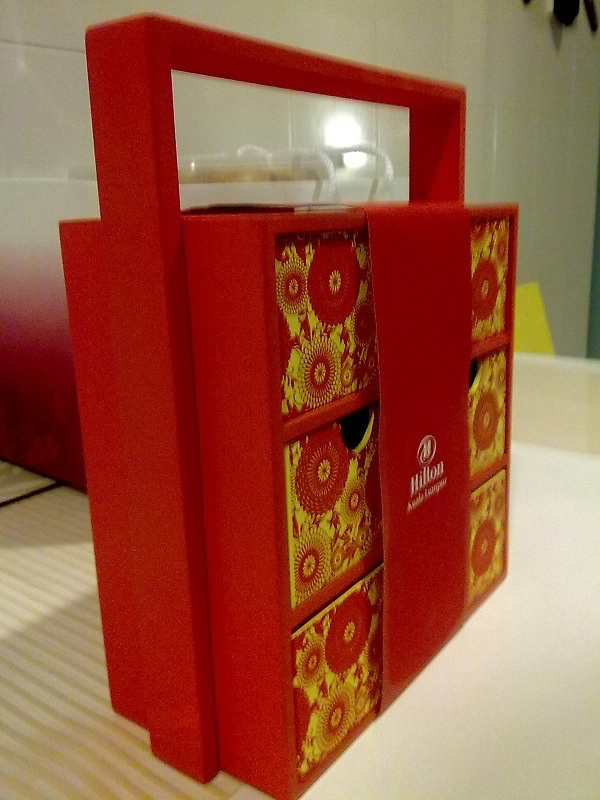 I hoped they enjoyed the mooncake and hospitality here. Thank you all for coming.